Our organization offers wide range of services for Insulation Of Cold Stabbing Tank which is done to reduce the rate of heat transfer. We ensure usage of good quality materials and monitor our vendors consistently. Our systematic methodology at par with client requirement enables us to offer prompt completion of the project. Experts use best method and material for offering Cold Stabbing Tank Insulation Services. 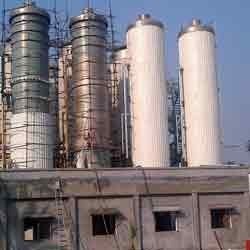 This insulation service is widely demanded in food and pharmaceutical industry to assist various needs of production. Customers can avail this service from us at lesser price. Insulation Of Cold Stabbing Tank is done used to reduce the rate ofheat transfer. Good quality materials are used for the purpose. Our systematic methodology at par with client requirement enables us to offer prompt completion of the project. Leveraging on our industrial experience we have been successfully catering to the varied needs of our clients through our systematic services. Insulation of cold stabbing tank is done used to reduce the rate of heat transfer. Good quality materials are used for the purpose. Our systematic methodology at par with client requirement enables us to offer prompt completion of the project.